Our flight had been by way of the recently rebranded Fiji Airways, returning to their old name from Air Pacific, after securing new Airbus A330-200 aircraft and upgrading their customer service. The comfort of their business class was most appreciated for a flight of that duration, and we were pleased to discover they also have a top-shelf lounge. We were quite ready to find ourselves in one of six very well-appointed bures available at the Fiji Orchid near Nadi Airport. This unique property caters to travellers needing a day room to refresh themselves before continuing on their journey. Originally the orchid planation of actor Raymond Burr known for his roles in ‘Perry Mason’ and ‘Ironside’ the five acre property has been transformed into a five-star tropical resort. 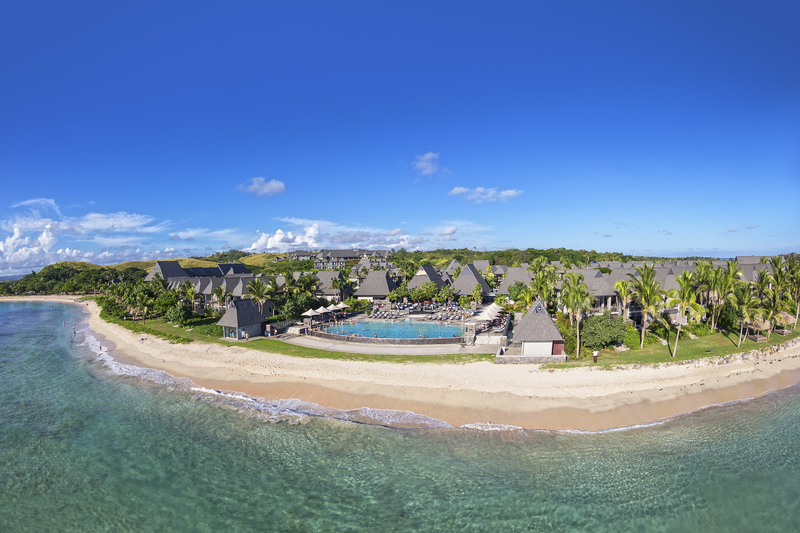 With all the amenities expected of a luxury resort the property not only attracts visitors looking for the complete Fijian holiday experience, but also utilizes the closeness to the airport to attract those needing a few hours of rest before continuing on. Rest was required as we were on a mission prior to enjoying this tropical paradise. One of our associates had a daughter who had volunteered to assist in teaching the children attending the nearby Jasper Williams High School. 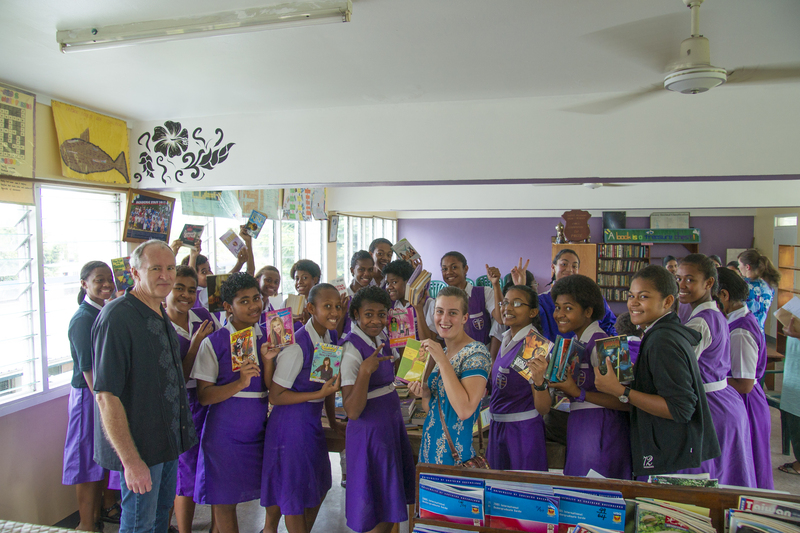 Unfortunately, the school library had suffered weather damage and the books were destroyed. The call had gone out from daughter to Mom, “they need books.” Mom had taken the challenge and started a drive for books. With us, included in our baggage were a number of suitcases, full of the first shipment of books. First up on our agenda, following a good nap, was the delivery of the books. The gratitude of the students and the teachers was remarkably heart-warming. More so, when the look on one of the faces would suddenly go ‘wow’ when a popular sought after title would be found while sorting through the cases. There is an organization called Pack for a Purpose which can provide fellow travellers with a similar experience. They encourage leaving room in your suitcase to carry supplies required by the community you’re visiting. They suggest space for five pounds and have an organization dedicated to providing details on the requirements of communities around the world. Next stop was the outstanding Jean-Michel Cousteau Resort in Savusavu on Vanua Levu Island, northeast of the main island of Vita Levu. Not surprising with the name ‘Cousteau’ associated to the resort, it has an emphasis on world-class scuba diving and snorkeling activities. But, unique to this property is the emphasis on the ecology. There is a full time ecologist working on ensuring the resort fulfills its mandate to preserving the environment even to the extent of replanting the mangroves which had been removed from the shoreline. 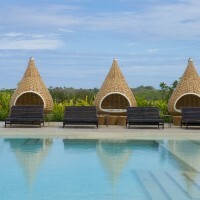 What we did find surprising with this acclaimed 5-star resort was the services available for families. They have what is called the Bula Club for the children. Each child five and under has their own nanny while those five to twelve have a buddy, meaning both parents and children have a wonderful relaxing time. There are areas including dining that are restricted to adults only for those not looking for a family experience. We were most impressed with how well it all worked for everyone. Our accommodation was The Villa, a luxury home unto itself, featuring two separate buildings contained within a walled garden surrounding a central patio with its own infinity pool. Of course there is an outdoor shower, but the indoor shower has its own spa-tub and a waterfall. Naturally The Villa sits on its own private beach. The resort has just 25 bures most with beach front. Dining is excellent and all-inclusive. Each evening musicians provide live entertainment and of course this being Fiji, invite guests to participate in the traditional Kava ceremony. Kava is a mildly sedating drink made from the roots of a type of pepper plant. Participants prepare a large bowl full and pass around a cupful to those circled until the bowl is empty. A visit to Fiji would not be complete without a round of Kava. Of course there is also a very good spa. We had the pleasure of having our massages in a bure on the beach overlooking the ocean. (Very relaxing to say the least, not to mention the sounds of the crashing waves emphasizing the overall ambience). It’s not surprising that this property has a reputation for being one of the best resorts in the South Pacific. Not surprising with the name ‘Cousteau’ associated to the resort, it has an emphasis on world-class scuba diving and snorkelling activities. 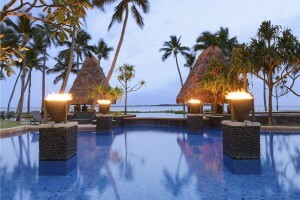 We returned to Nadi and headed over to the Intercontinental Fiji Golf Resort and Spa. This is a large property with a host of facilities and could readily be a destination unto itself. We enjoyed the Club Intercontinental which sits on top of the hill the property is built around with gorgeous views of the surrounding beach and ocean. Being at the Club also means guests enjoy personal butler service making the stay most relaxing. Plus of course there is breakfast, lunch and happy hour available in the club. This is in addition to the extensive array of fine dining experiences found throughout the resort. Our own suite was spacious and featured its own plunge pool and patio area plus an outdoor Jacuzzi tub. One evening we dined on the patio and then enjoyed a romantic bubble, bath all strewn with flower petals. 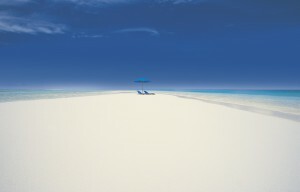 Naturally, the resort features an expansive spa with very competent staff and a great stretch of white sand beach. But I would like to suggest the high point is the adjacent Natadola Bay Championship Golf Course. This is Fiji’s first international competition standard course. Golfing here, one can easily be distracted by the great views of white sand beaches and coral reefs. While staying at the Intercontinental we took the opportunity to visit the nearby Kula Eco Park, Fiji’s only wildlife park. Here endangered species are provided habitat for breeding. One of the highlights is that visitors have the opportunity to have their photos taken with indigenous iguanas and snakes. Also nearby, is a local pottery village. Here the women of the village take pride in showing off their handiwork. All the work is handcrafted right down to the resins hand painted on to give a decorative appeal. Naturally, no visit would be complete without a round of Kava. From here we headed to Royal Davui Island Resort, situated on its own small island. The island’s private launch takes guests from the mainland. This adult only resort has just sixteen private villas all with ocean views. The accommodations are most comfortable with lots of room including private plunge pools and separate living and sleeping areas. Plus of course there is a great balcony to enjoy the fabulous scenery. This property is highly rated as a ‘honeymoon’ property. Dining is all inclusive and the chef most proficient. Marine activities abound. Snorkeling around the island brings sightings of coral and endless verities of sea life. Naturally the property also has a spa. 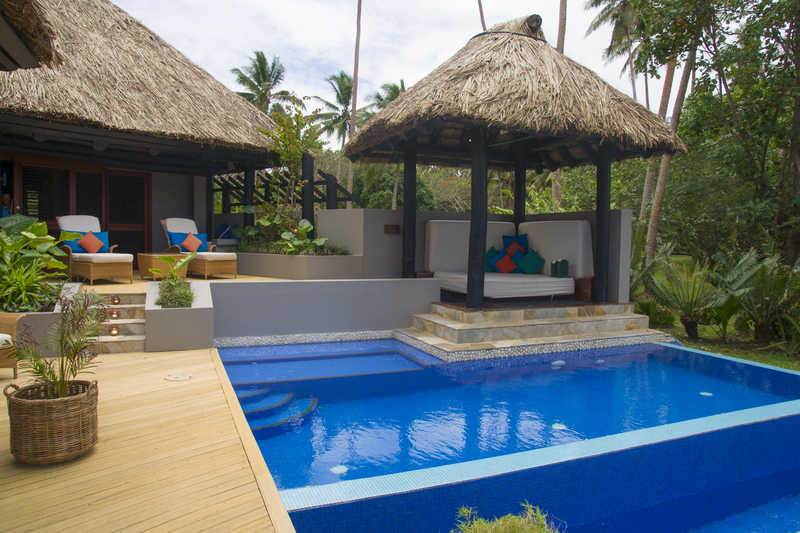 As a Fijian resort destination this property stands out. Our final destination was the Starwood properties on Denarau Island. The island is situated just 20 minutes from Nadi International Airport on the main island and attached by a short bridge. 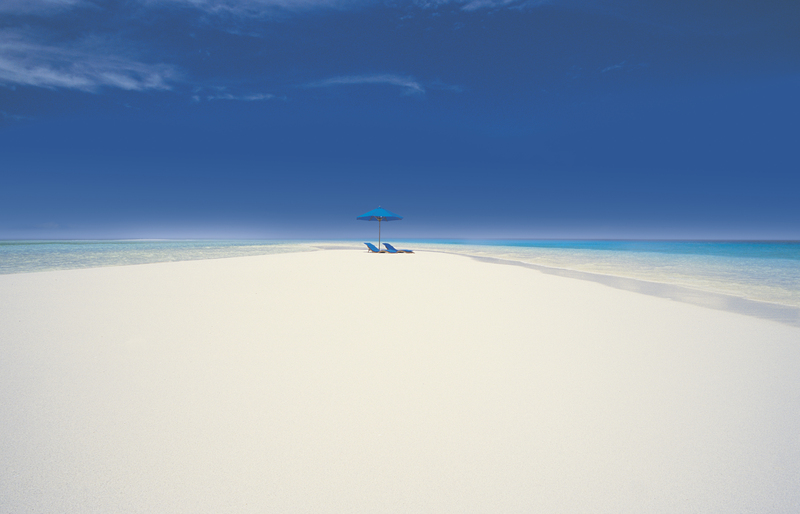 This island has been uniquely developed with a number of resort properties plus real estate offered for purchase. This is defiantly an uncommon situation in Fiji where property is held communally and every new born Fijian has property rights. The island has numerous facilities developed for tourists including a golf course, shopping areas and restaurants, all accessible through convenient and comfortable public transit. A stay at one of the Starwood properties means the ability to access the facilities of all three which includes: the Sheraton Fiji, the Sheraton Denarau Villas and The Westin Denarau Island Resort and Spa. As a guest at the Westin we were able to walk the beach to bring us to any of the other dining areas provided by the various properties. Or any of the other facilities available to guests at each of the properties. Peter Kuruvita, the renowned Australian chef, has a particular influence in the properties plus there is a Steakhouse with his name. 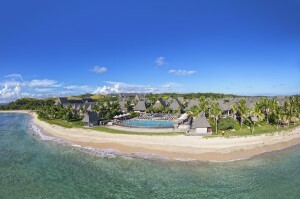 Basically, there is no need to leave the island during your stay in Fiji. Denarau has everything to make for a fabulous and relaxing holiday. Having visited the Fijian islands a few times what stands out, aside from great snorkeling just about everywhere, is the friendliness of the Fijians themselves. They make visitors very welcome. It’s great to hear ‘Bula’ over and over again. And know it’s sincere.